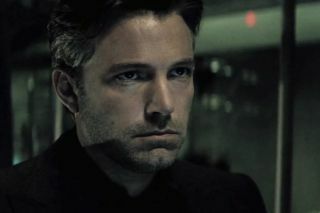 After months of hints and speculation about a solo Batman movie centring on Ben Affleck's version of The Dark Knight, the film recently received the official go-ahead from Warner Bros. Affleck is set to direct and star in the movie, sharing co-writing duties with DC creative chief Geoff Johns. As the pair recently finished a script, we've now got a trickle of info concerning which villains will appear in the standalone outing. The news hails from Birth.Movies.Death, whose sources state that Affleck and Johns plan to "make the definitive Batman film" and they wish to tell "the ultimate Batman story." That's a pretty tall order, but it's how they intend to execute that vision which is cause for excitement: the movie is rumored to include TONS of baddies. "Many, if not most, members of Batman's rogue's gallery will be making appearances in the film," reads the site. "It's going to be crammed with Bat villains, which means that just about every major bad guy you've ever wanted to see in a movie will be in this movie." There's no official word from the studio on the matter - nor does the site offer up any hint of who that team of villains will include. But considering the fact that Batman shares at least one scene with The Joker in Suicide Squad, we'd put our money on Jared Leto's Clown Prince of Crime leading the charge against Gotham's Bat vigilante. Interestingly, the report also shoots down the idea of Affleck and Johns adapting Under The Red Hood, a comic story in which Jason Todd (Robin) returns from the dead as a bad guy.